Xieng Khouang Province is well known with The Plains of Jars in Laos. It is the heritage recognized by UNESSCO and still the secret place that challenged people by the meaning under the strange jars. Xieng Khouang Province is located in the northeast of Laos. It is far from Vientaine more than 400 km to the northeast. It is bordered with Nghe An province of Vietnam to the east and far from Nghe An province more than 100 km. Districts: There are 8 districts in this province. They are Phonsavan or called Pek, Kham, Nong Het, Khoune or called Xiengkhuang, Morkmay, Phou Kout, Phaxay and Phathom. 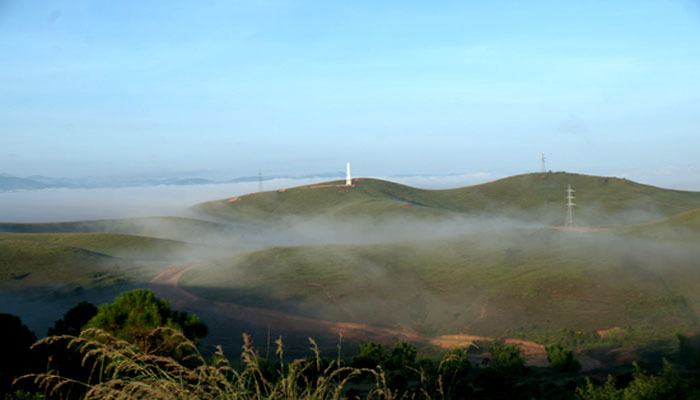 Climate: Xieng Khouang province owns the rich mountains and green hills, so the climate here is so good. It is warm and has it’s the balance in the season of the year. Base on this, tourists who can visit the province around of the year and do not worry about the weather. The Plains of Jars: Talk about Xieng Khouang, of course has to talk about The Plain of Jars. This is the most distinctive destination of Laos. There are many different mysterious jars with a thousand years old in this only province without explanation that why they are there. There are some sites that where visitors who can explore the unique things such as Site 1, 2 and 3 that located in Phonsavan. Mulberries Organic Silk Farm: it is located in Phonsavan District. This is the special place where visitors can explore the process of making silk from the fist step. After visiting, visitors can buy the silk products with high standard here for souvenir. Muang Khoun: this is the small town that located far from Phonsavan District about 30 km to the southeast. In this place where visitors can find out some architecture in French style and the special destination where there is a famous sitting Buddha statue. That Foun: called Old Xieng Khuang. This is the Buddhist stupa was built in 16th century. It is about 30 m high with Lanna structure. It is considered the stupa that protected the ashes of Buddha brought from India. War Memorials: they are located in the hill to the south of Phonsavan. This is the monument that remembers of the soldiers passed away in the Indochina War. From this place, visitors can reach the great picture of the sun set falling out in the area. Pha Keo Village: this is one of the famous places for tourists who explore the culture of ethnic groups in Xieng Khouang. The village is the peaceful place where the ethnic group settles. It is located in the slopes of the mountains. Kha Waterfall: the most beautiful waterfall in Xiang Khouang. Come here visitors will have the best relax time in the fresh air with the pure natural landscape. Pi Mai Lao: this is Lao New Year. It is happened in April. There is the boat racing in this time in Supanouvong Lake. Boun Bang Fai: the Rocket Festival is happened in April to May of the year. Boun Khao Pansa: or called Buddhist Lent. It is happened in July of the year. There are different dishes in the province. You can find here the cuisine in Chinese style, Vietnamese style or French style. So almost of tourists can reach the suitable dishes for them to taste.